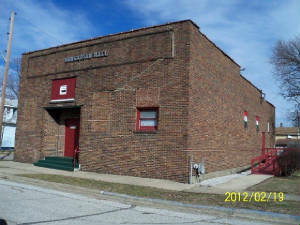 Welcome to the Hungarian Hall's site! - WiFi Internet connection is available at the Hall! - Harvest Dance: October 6, 2018 has been cancelled. - Please, see the 2018 Calendar for additional events. We exist to preserve our Hungarian heritage and traditions in the community while providing our members and guests a variety of events to reconnect with one another. Excellent food, hospitality, and great stories always accompany the joyful gatherings. Please, come and join the 108 years old history in Terre Haute, Indiana! The Hall is available for rent for your special occasion! It has a licensed kitchen, wet bar, stage, central air, and seats up to 100 guests. Check out our friendly prices under the Rental Rates page! We're located on the corners of 22nd and Linden Streets. The club is accepting devoted members, both Hungarians and non-Hungarians. Meetings are held monthly as well as members' luncheons. Annual activities typically include a Spring and a Harvest Dance with live music, rummage sales, and other fundraising events.